I spent my childhood and early youth in a state where the roads were more a medium for politics than for transport. There were just two dilapidated buses that made 4 or 5 trips each day through my village. Apart from these two buses, the only other vehicles that crawled along the narrow, ill-maintained road were some occasional bullock carts and more frequent bicycles. But every now and then a jeep carrying a number of conical loudspeakers on it would come along blaring political slogans and announcements. The road bore the burden of quite many political processions too. I was part of a few of those processions in the former half of 1970s when the Catholic church went on a passionate agitation against the state government’s certain policies on govt-aided colleges, most of which were under the control of the church. I was in class 8 then and blindly obeyed my father’s diktat that we (my siblings and I) should join the procession mouthing slogans that I did not really understand. I did my college education in Ernakulam, the commercial hub of Kerala. Ernakulam had far better roads compared to that of my village and far too many vehicles plying on them. But I saw the traffic being held up time and again by political processionists belonging to various parties, trade unions and student’s wings of political parties. Once the student’s union of my college, St Albert’s, blocked a whole stretch of the Banerjee Road in front of the college and played volleyball on the road. That was the students’ way of reiterating their long-neglected demand for a playground. It must be added that this novel protest on an arterial road in the city bore fruit instantly. Within a week or so of the protest St Albert’s was granted a playground. 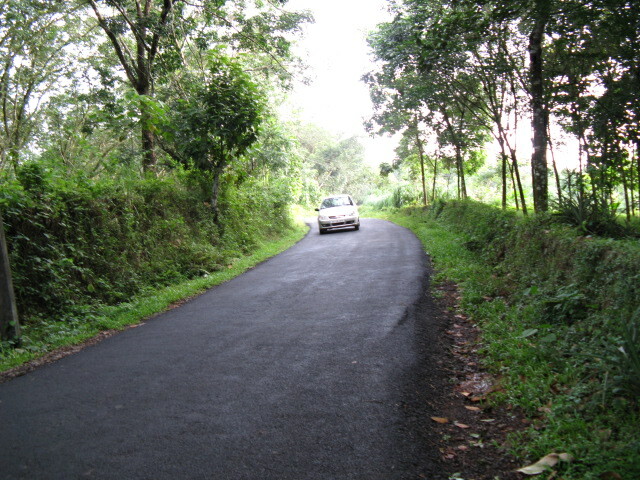 The road is indeed much more than a medium of transport, especially in Kerala. But a few months back the Kerala High Court sought to liberate the roads in Kerala by banning all public meetings and rallies on the road and roadside, much to the chagrin of the political parties in the state irrespective of the colour of the flag. The lead story in today’s [10 Feb] Malayala Manorama is that the Kerala govt is going to pass a legislation in order to circumvent the High Court’s order. Called Kerala Public Restriction of Assemblies and Procession Bill 2011, it seeks to reinstate processions and rallies back on Kerala’s narrow and ill-maintained roads. The report says that all the political parties are united to get the bill passed. If the bill cannot be passed due to time constraint [because it is the budget session of the Assembly that’s going on now], the parties are ready to pass an ordinance to the same effect. So Kerala’s roads are certain to reverberate with the footsteps of passionate sloganeers once again. Quite many patients may die being held up by processionists on their way to hospital. Quite many passengers may miss their trains and flights whose tickets were booked months in advance. Job seekers may miss their appointments. Examinees may lose a whole year. There can be immense loss to the state’s exchequer because of the stagnation of life on the state’s roads caused by political processions. But Kerala’s politicians are not concerned with such things. They love to parade themselves on the roads. They love to hear their own voices echoing on the roads. They are the ultimate narcissists. And the traffic on the roads in Kerala will continue to come to a standstill whenever political narcissism chooses to take a royal ride. PS. Today my village [Arikuzha] is blessed with a network of roads, better maintained though very narrow, and a lot of traffic on them too. Here’s a 2008 picture of a road in my village. Processions and slogans, however, have left the villages and migrated to the cities. Urbanisation of slogans? This entry was posted in Uncategorized and tagged kerala, Politics, politics on road, roads, slogans, traffic deadlock. Bookmark the permalink. we have to make the driving two and four wheelers, traffic rules as a book and make it as a manadatory sunject in colleges.in todays life everyone is travelling daily 40 mins in average. So it is essential for everyone to know more about road safety. I think this will save more lives, mainly it will save the innocents life who is obeying the traffic rules. I read lot of accident news here Latest kerala News in malayalam, breaking kerala news. Lets follow the rules and save the innocent lives and liv ehappily.